Депозит 20$. Купил два гоблина. The amount of 20 USD has been withdrawn from your account. 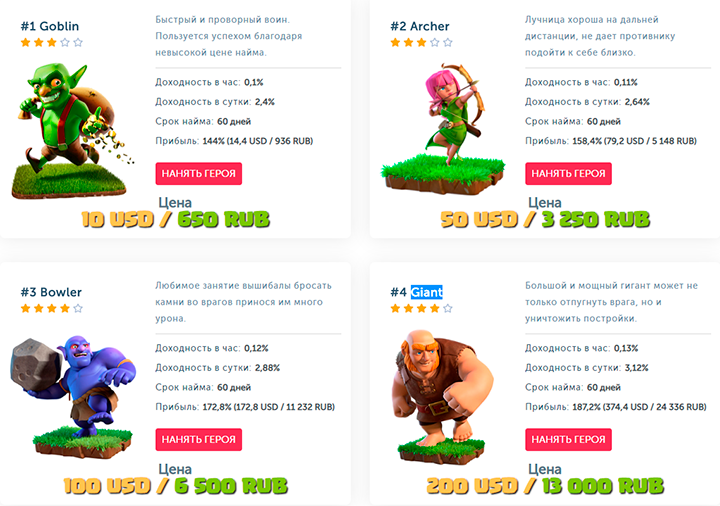 Accounts: U8752***->U17445022. Memo: Shopping Cart Payment. 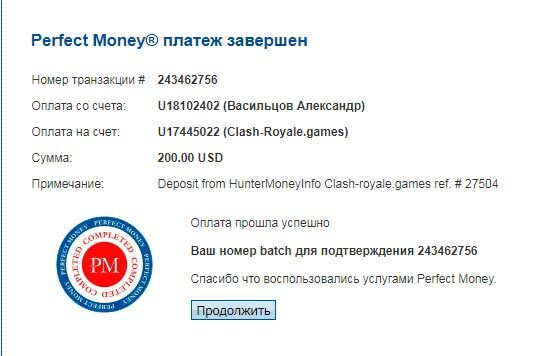 Deposit from Helen2 Clash-royale.games.. Date: 21:29 21.01.19. Batch: 243482266.